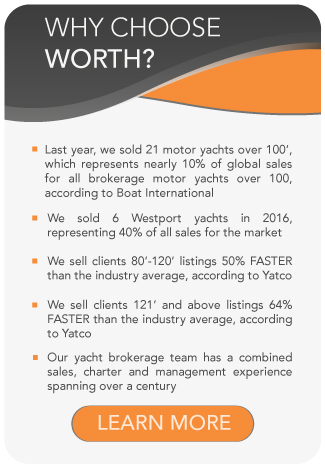 All Turquoise Yachts yachts for sale worldwide are either listed below, or can be found either here Proteksan Turquoise yachts for sale, or here Proteksan yachts for sale. Turquoise Yachts, formerly known as Proteksan Turquoise, is a Turkish shipyard constructing fully custom yachts between 131feet / 40 meters and 262feet / 80 meters. Well known for their value for money, Turquoise gives special attention to the true attraction of yachting: luxury, exclusivity and a highly individualistic lifestyle choice. Turquoise Yachts has the capability of simultaneously building ten yachts at their two state-of-the-art shipyards in Kocaeli and Pendik, conveniently located in the outskirts of Istanbul, Turkey. Headquartered in Istanbul, Turquoise Yachts facilities are conveniently located just a few minutes drive from the International Airport Sabiha Gokcen, which also welcomes private jets. With a dock length of 110m the Pendik site is exclusively used for yacht outfitting and can accommodate ten yachts of up to 85m in length. In addition the Kocaeli site, with a 120m dock and an impressive surface of close to 50,000m2 is located just across the bay from Pendik. There are three covered sheds, the largest one measuring 160m by 40m, dedicated to steel and aluminum work as well as the installation of heavy machinery and piping. Turquoise Yachts was originally established in 1997 by two leaders of the Turkish boat building industry, Proteksan Yachts Inc. and Turquoise Yacht Construction. In December 2014, Mohammed Al Barwani acquired the majority stake of Proteksan Turquoise. This is the second major investment in the super yacht industry for Dr. Barwani who, since 2010, is the owner of leading Dutch shipyard Oceanco. He has a great track record in business with successful investments in a wide range of industries as diverse as petroleum, mining, engineering, hotels and insurance. 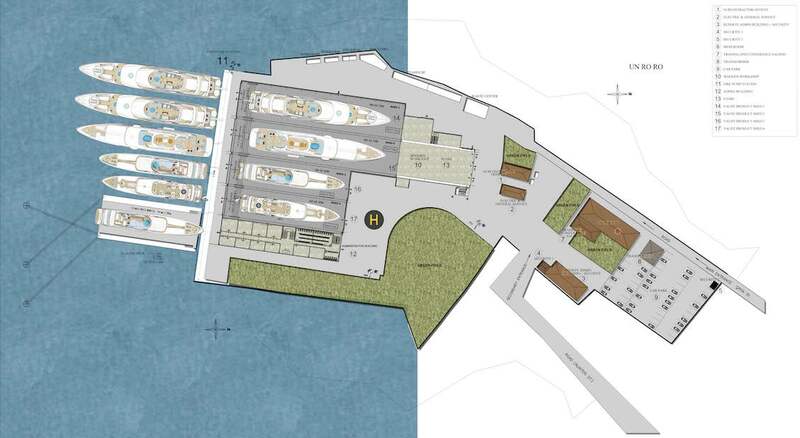 Today, Turquoise Yachts has Completed two major investments: the expansion of the Kocaeli shipyard has doubled in size and can now simultaneously accommodate three mega yachts with an average LOA of up to 80m each; and they launched a new floating dock capable of lifting and transporting yachts of up to 2500 tons between their two facilities. The floating dock has a central ballast tank with a removable soft patch to allow lifting keels or center boards of large sailboats deployed freely while they are dry docked. The Pendik facility was completed in 2007 and is an impressive 25,000m2 landscaped location. It boasts a dock length of 110m and is used particularly for interior decoration and finishing work. The shipyard has direct access to the Sea of Marmara for initial sea trials, which is conveniently just minutes from the yard’s dock face, as well as being just a short sea passage into the heart of the Mediterranean. The second shipyard is located in Kocaeli, just across the bay from the Pendik facility. It is here that the steel and aluminum hull and superstructure works are completed, as well as the installation of machinery and heavy piping of up to 50,000m2. The shipyard was established in 2005 and is a 500,000m2 facility with a 120m dock. The yard at Pendik employs a highly skilled workforce which has built twenty super yachts including Turquoise, m/y Talisman, m/y Vicky and m/y Ileria, launched in 2011, 2012 and 2013 respectively. 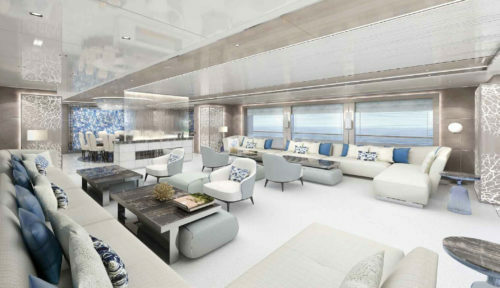 Turquoise Yachts specializes in the highest level of skilled joinery carried out by a talented team of craftsmen working with a variety of materials, including wood, stainless steel and leather. However, unique to Turquoise Yachts is the use of spring type engine mounts and elastic shaft coupling with an engine and gearbox arrangement specifically designed for close coupling. The result of which is that the rumbles and vibrations of both the transmission and propeller are significantly minimized. 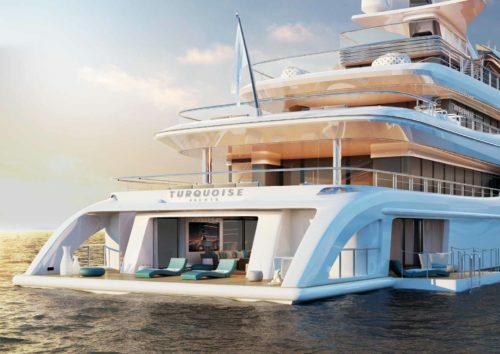 The designer and naval architect Ed Dubois, was associated with several of Turquoise yachts including Turkey’s first luxury 50meter super yacht m/y Turquoise (present m/y Double Trouble). 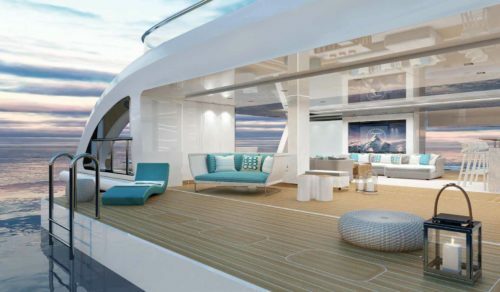 Turquoise has also worked with other noteworthy designers: H2 Yacht Design, Tony Castro Vitruvius Yachts, Jean-Guy Verges, Andrew Winch Designs, Donald Starkey and Paolo Caliari to name but a few.